I cannot believe that I am leaving for college in less than a week! There are so many things about this big transition that I am so unprepared for, but luckily, my planner is not one of them! I feel ready to take on this crazy, busy, exciting year with my Happy Planner! 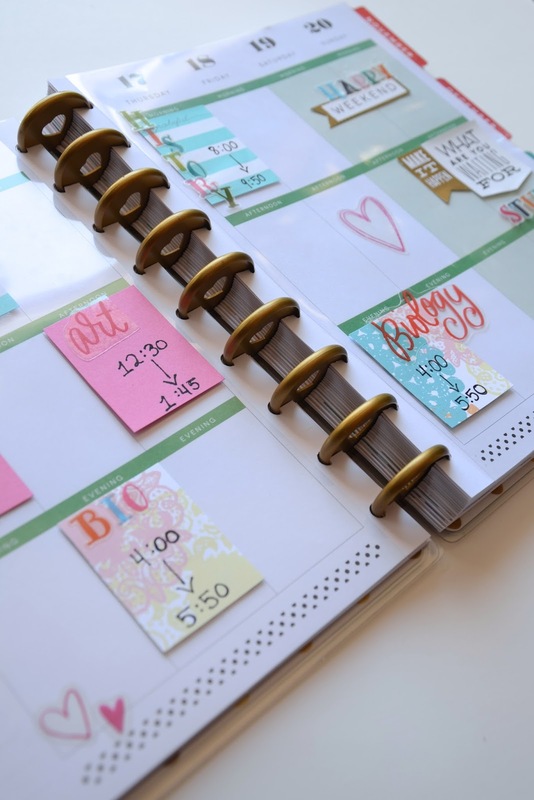 I have always lived out of my day planner, and I have to say, this is the cutest and most efficient planner I've ever used. 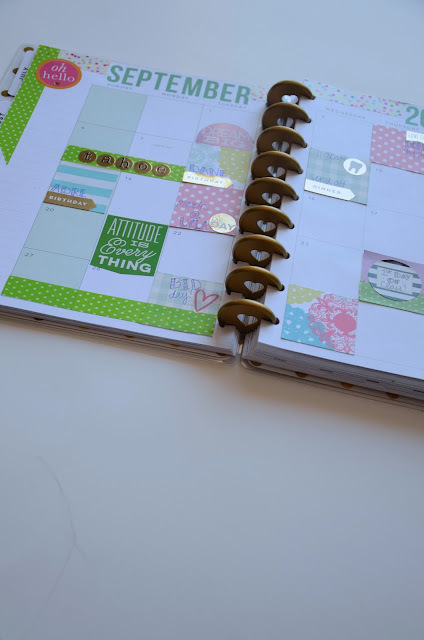 Seriously... the Happy Planner puts the fun in functional! In the past, I used a day planner and a separate notebook for to-do lists (talk about OCD!). Since the Happy Planner is so customizable, there is plenty of room for all of my lists, my schedule, and creative little details like encouraging quotes, pretty artwork, and all the stickers your heart could desire! 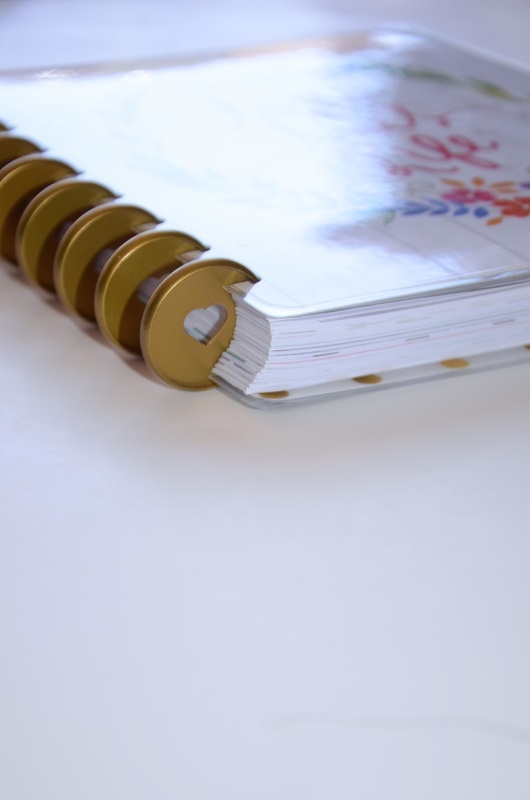 Basically, the Happy Planner is a combination of an agenda and a scrapbook. I've always saved my old planners as keepsakes, so this makes the events from the year even more memorable. Another one of my favorite features is how each day is broken into three parts. The layout is so convenient, especially for keeping track of my classes. I ended up making my class schedule on transparency paper that I can easily move from week to week throughout the school year. I think it is going to be such a great way to keep my classes and assignments organized! Check out my favorite products and what I used to decorate my Happy Planner in the links below!